Friday, our blog shared part one of an interview with Emily Pulley, found in our 2013 Opera Insider. Today we continue with our favorite part of the interview. Emily portrays Julie Laverne in our upcoming production of Show Boat. You have performed many different roles at Central City Opera, but you are also known to company members and supporters for your sharp wit—your extended limericks are legendary—and your sparkling personality. What’s your favorite story from your many summers in Central City? 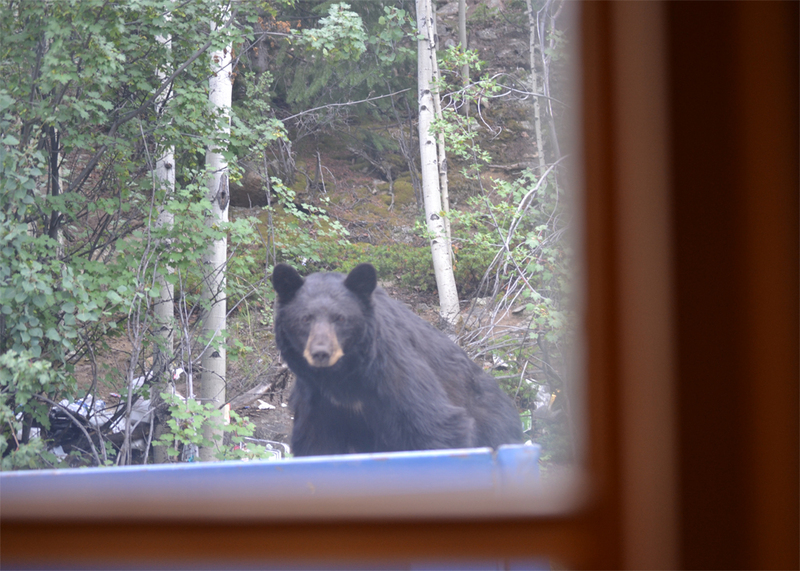 Well, a lot of the best stories probably aren’t fit to print (I encourage your readers to ask me about them when they see me), but one of the most memorable events for me was the infamous bear break-in of 2010. I was staying in a rental property up the hill, and my buddy Curt Olds [who plays Frank this year in Show Boat] was kind enough to drive me home late one night. When I opened the front door, there was light coming from the kitchen, and I didn’t remember leaving anything on. Once we saw that it was, in fact, the refrigerator light and that one of the doors had been ripped off the hinges and the other one was open as well, with food and debris strewn everywhere, Curt heroically pushed me behind him and went to investigate. The back door had been forced open and was still ajar, but fortunately, the bear had left. And she had eaten almost EVERYTHING, basically pulling all the refrigerator shelves down and even opening up the cabinets and emptying those out as well (we decided it was a she-bear going through a bad break-up, since it looked like she went straight for the ice cream and sugary snacks). Curt was kind enough to stay and help me clean up, and we were laughing hysterically, imagining what went down in that kitchen and being glad we weren’t there when it happened, although I do wish I had set up a nanny-cam or something. Word got to my friend Frederica von Stade about what had happened, and she told me that her cabin in Lake Tahoe had been broken into by ursine marauders as well and then encouraged me to ask my male friends to, um, mark the territory around the house to repel the bears. Many of them were more than willing, so long as I provided them with ample adult beverages to help them create the “bear repellent” (opera singers are very classy). It definitely gave “marking” in rehearsal a whole new connotation! A bear peeks in a rehearsal hall window during the 2012 Festival. Photo by Erin Joy Swank. The above questions are just part of an interview with Emily Pulley in the 2013 Opera Insider. Download the pdf for the full article and much more on the history of the 2013 Festival productions, their composers and librettists, interviews with the artists and more. Show Boat plays at the Buell Theatre in the Denver Performing Arts Complex from August 6-11, 2013.